The absence of water supply infrastructure is a critical issue that affects the sustainability of cities in the developing world and the quality of life of millions of people living in these cities. Urban India has probably the largest concentration of people in the world lacking safe access to these infrastructures. 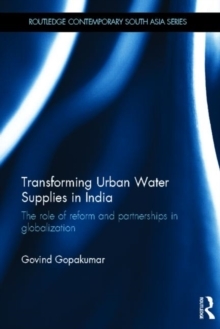 This book is a unique study of the politics of water supply infrastructures in three metropolitan cities in contemporary India - Bangalore, Chennai and Kochi. It examines the process of change in water supply infrastructure initiated by notable Public Private Partnership's efforts in these three cities to reveal the complexity of state-society relations in India at multiple levels - at the state, city and neighbourhood levels. 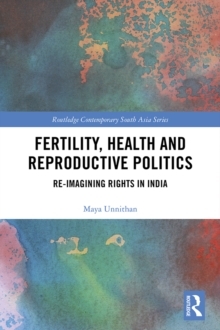 Using a comparative methodology, the book develops as understanding of the changes in the production of reform water policy in contemporary India and its reception at the sub-national (state) level. It goes on to examine the governance of regimes of water supply in Bangalore, Chennai and Kochi, and evaluates the role of the partnerships in reforming water supply. 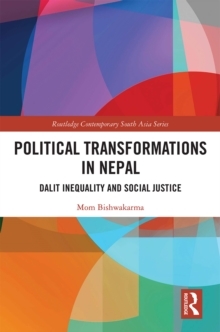 The book is a useful contribution to studies on Urban Development and South Asian Politics.